Looking for German videos, books, podcasts, etc. 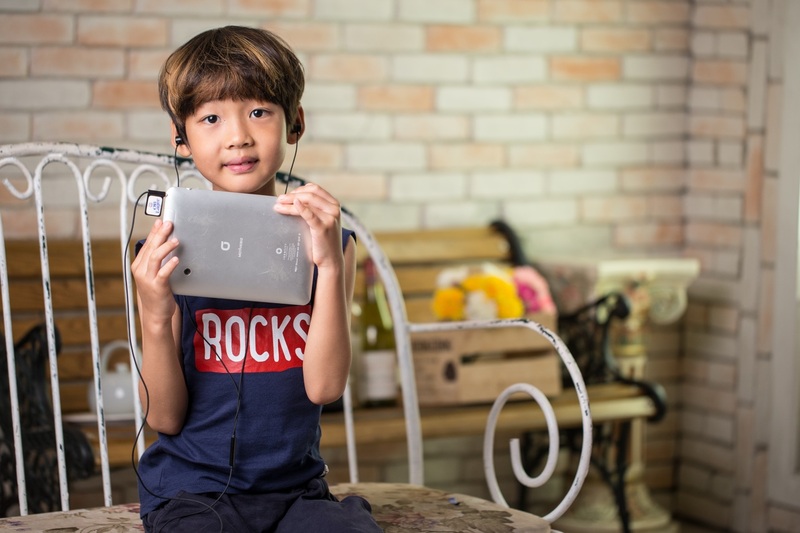 to increase your kids' language exposure? Here are some places you might start. 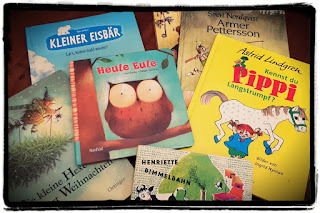 I'm always trying to find online resources that will help give more German exposure to my kids, so I compiled this list (originally in Japanese) based on recommendations in a few Facebook groups, especially 'Raising Bilingual/Multilingual Children' and 'Raising Bilingual Kids and Little Global Citizens' — many many thanks to those wonderful parents for sharing with the rest of us! Plus recommendations of my own. Some of these, I haven't looked at yet. 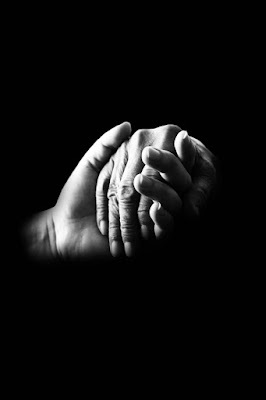 And I'm sure some of the links may break over time; if you notice any, please leave a comment. Unser Apfelhaus - Nena: This is a personal fav - pop singer Nena gives her unique voice to some great, sing-a-long-able but modern arrangements of classic German kids' songs. 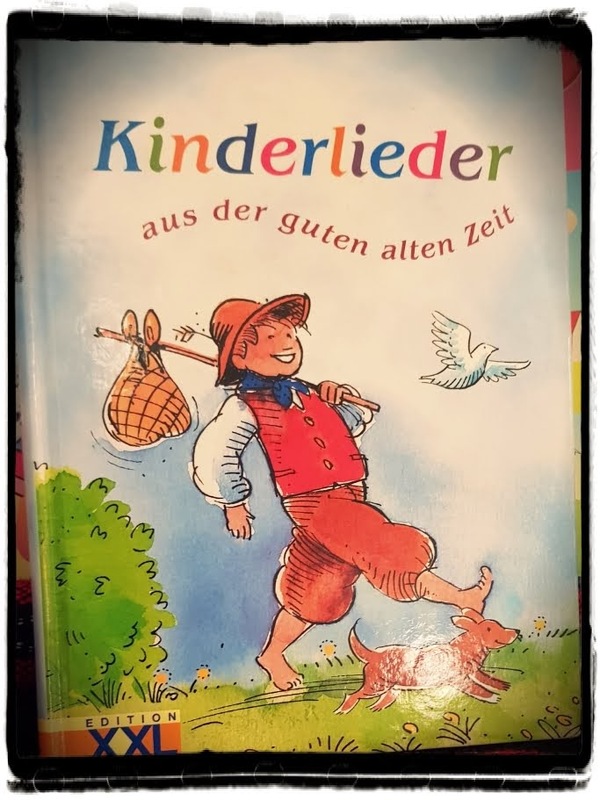 Kinderlieder as der guten alten Zeit: It's a great collection (which also happens to include most songs in Nena's Unser Apfelhaus) and for people like me who don't know the tunes, having the simple score let's me plunk them out on a piano for the kids. The newer edition comes with a CD too. The perfect place to find high-quality videos for kids from a German TV station. You can browse by intended audience age. Of course, there are lots on YouTube! Other series have their channels too (possibly some are not official). Caillou Deutsch: Little Caillou's daily life with his parents. Gentle and simple language, just right for the little ones. Pocoyo (Deutsch): Super-cute clay animation episodes of little Pocoyo and his friends, where the narrator is almost the only one speaking. Pocoyo says a few words at most. Feuerwehrmann Sam: My preschooler and elementary school sons love this of course. Jonalu: Adventures of two mice and their little beetle friend, with some singing. Coco der Neugierige: Curious George in German. All my kids love this one and there are many episodes available. Der kleine Drache Kokosnuss: There are some storytelling videos and some learning exercises...but also promotions of their new products, so I'm frankly not too impressed. Sesamstraße Online: Sesame Street in German. Ben und Hollys Kleines Königreich: Same makers as Peppa, the quirky magical kingdom of fairies and elves. Here are some other series titles you could check out. The links are just YouTube searches, so no guarantees what it will pull up though. Kleine Einsteins: Originally a Disney program in English, the Little Einsteins explore their world. Meine Freundin Conni: Cartoon based on the famous books. Kleine Princessin: Slightly spoiled little princess :) For somewhat younger kids. 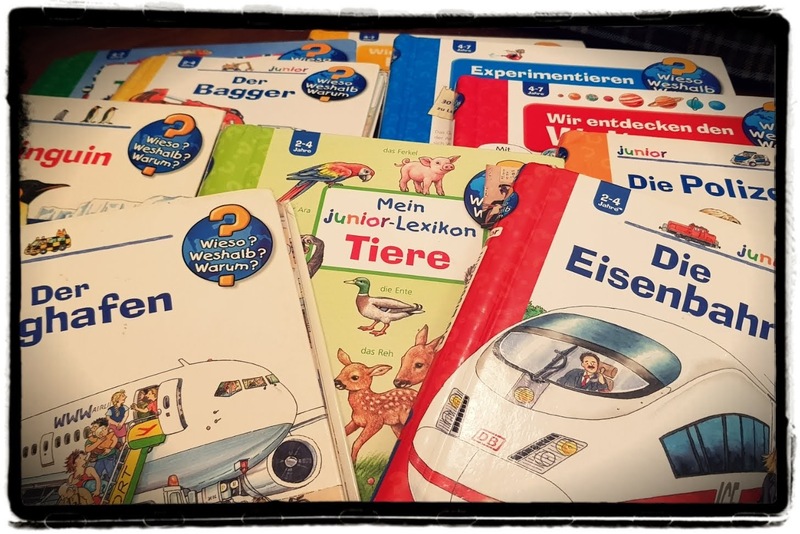 For slightly bigger kids with more advanced German? Käptn Blaubär: Puppets - from what I can tell, the Captain tells stories so needs a certain level of comprehension. Wissen macht Ah! : Explores the world around us. Weltreise Deutschland: This one may be for school-age kids, not younger. The program interviews children in Germany who have ties to other countries and asks them to share their 'other' culture with viewers. It's nice for multi-cultural kids to see that there are many others like them. I haven't tried too many of these yet (the intent is to do so from now!) so can't say which I recommend, but here's a list you could start off with. radioMikro zum Mitnehmen has different 'shows' that talk about news and society. My 9yo loves the Lach Labor episodes. Do Re Mikro covers music. Betthupferl provides brief (5min) bedtime stories. KiRaKa - Kinderhörspiele im WDR: This one handles news items; possibly for older kids with more advanced language skills. Vorleser.net - Alle Hörbücher und Hörspiele der Kategorie Kinder - Jugendliche: Storytelling of classic children's tales and others. These aren't online per se, but I'm adding some titles here. I've tried to link to author's and publisher's websites, but otherwise resorted to Amazon (not affiliate links). Yeah we have a lot of them. Wieso? Weshalb? Warum? series: Lovely (sturdy!) books that explain the world around us, whether about animals, vehicles, nature, outer space, etc. Pixi books: Little paperback story books that are sized just right for small hands. Conni series: These were the first Pixi books that we had. Conni is a girl of kindergarten age and she does many things for the first time. Great to introduce experiences (riding a plane, starting kindergarten, etc.) to little ones. Der kleine Drache Kokossnuss series: A super popular series about a little dragon called 'Kokossnuss' and his adventures with his friends. Pettersson und Findus: Classic tales of old man Pettersson and his talking cat, Findus. Henriette Bimmelbahn (by James Krüss): A classic! Lovely rhythm and rhymes to read aloud. 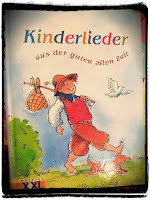 Pippi Langstrumpf (by Astrid Lindgren): Another Scandinavian classic, in German. Heule Eule (by Philippe Goosens): Just too cute!! Great for little ones, 2 or 3yrs up. TipToi: When your child touches the books with a special TipToi pen, it reads out the words. We've never had the opportunity to try it, but it sounds useful for letting kids learn words and interact with books on their own. LeYo! 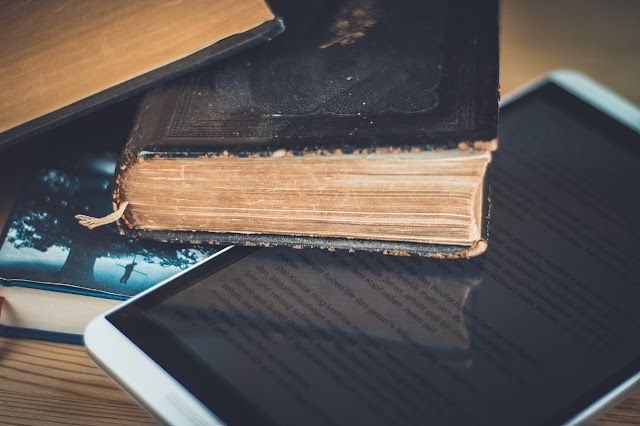 : You can download a free app with these books; kids can point the phone camera at the book and the app will read it out loud or make sounds, etc. It's too bad there aren't more books in this series. Ene Mene Mobile - Die schönsten Apps für Kinder: Beautiful site, relatively easy to navigate. If you have other recommendations and feedback, please leave a comment!